Business insurance is important for any business. Each business owner needs the peace of mind that comes from knowing that they are protected with insurance, which can help them recover from losses that threaten their business’ viability. We offer the ability to customize commercial policies to fit the unique needs of your business in Stroudsburg, Tannersville, and Jim Thorpe PA. Our local insurance agents can help you feel confident that you, your employees, your customers and your property are all covered. Whether you need a business continuity plan or accident medical insurance, your agent can guide you through available coverage options. You have worked hard to build your company. 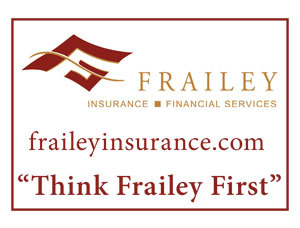 Let Frailey Insurance and Financial Services help protect it. With our flexible billing options and renowned claims service, you’re sure to build a policy that fits your business plan. We help protect what matters most in Pennsylvania, New Jersey, New York, Connecticut and Maryland.